Signmenu : Digital signage template of a car services garage. This template is best presented on a digital screen and placed at the entrance of the garage. 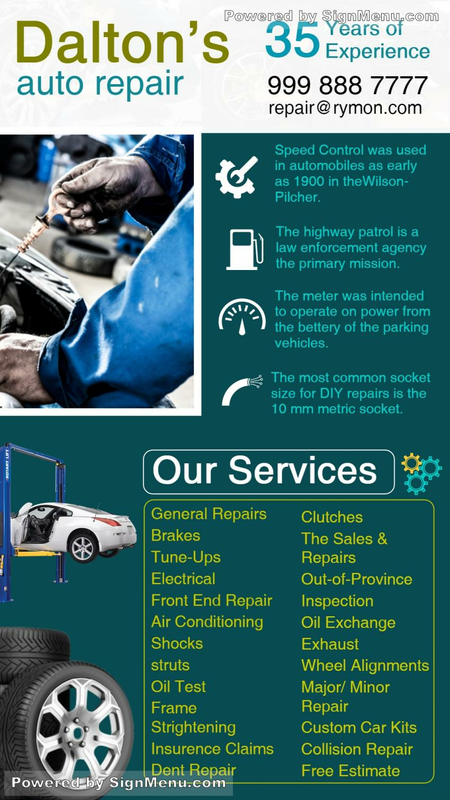 Garage services entail trust, transparency and efficiency, and car service stations that offer these are at a premium. A customer will not mind paying more if he knows the garage will repair his car with a warranty on durability. Hence, the digital signage screen will display the garage services in order to gain the confidence of the customer. This template is ready for download and use..